Maria in the Shower plays on May 2nd! Piedmont Arts presents Maria in the Shower‘s high-energy amalgamation of music and theatre live at the historic Rives Theatre! Part vaudeville show, part cabaret, part punk and part folk, Maria in the Shower is a deceptive name for a musical collaboration that seeks to defy description. Born in Vancouver in 2005, the band has been a fixture of the city’s underground music scene for a number of years, exploring the fringe of music and theatre. 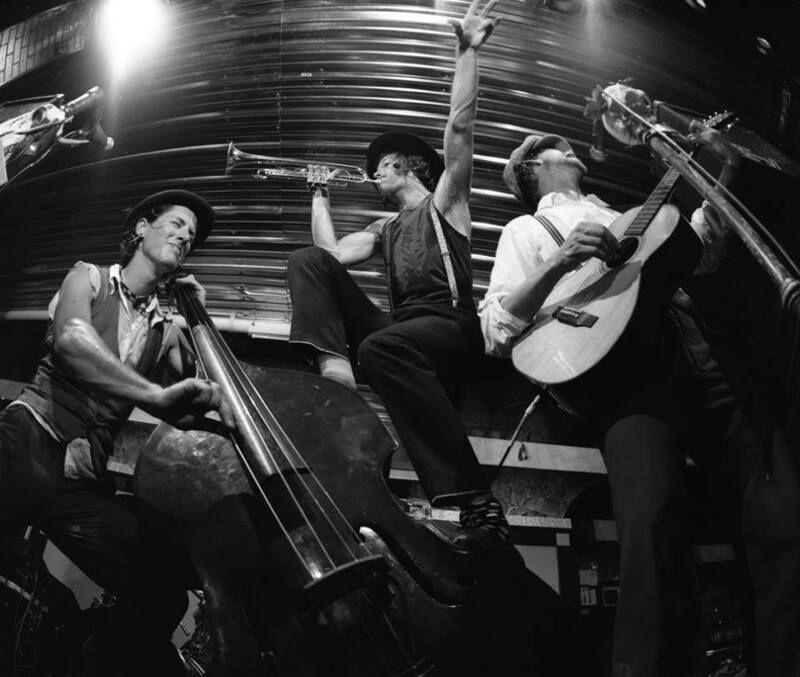 The four-piece act, consisting of Jack Garton, Martin Reisle, Brendon Hartley and Todd Biffard, is like a minstrel show that blends influences from gypsy jazz, rockabilly, swing and more into a creative and unpredictable sound. All tickets cost $15 each. They can be purchased by clicking HERE.